Helping you become the happiest and healthiest you. After completing a Bachelor Degree in Sport Science and Nutrition at Edith Cowan University, I decided to make it my goal to pass on my knowledge and passion for health, nutrition and happiness to others. What better way to do that than to make it my business! My approach to Nutrition is based around balance and a healthy relationship with food; there is no good or bad, just balance. 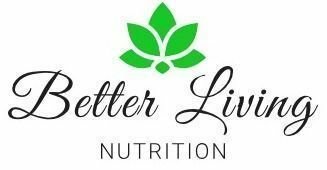 My promise is to provide quality, authentic advice that will help you achieve better health, happiness and, of course, better living. I am a Clinical Nutritionist and a registered practitioner with the Complementary Medicines Association (CMA). As a qualified nutritionist, I guide you in the ways of general nutrition and well being. I also specialise in food allergies/intolerances, weight loss, child nutrition and sports nutrition. Please get in touch to learn more about the nutritional services and packages available! A balanced, wholesome diet can do wonders for your energy; both mentally and physically. Making a lifestyle change that you love is the key to losing and, most importantly, maintaining a healthy weight. We know life can get stressful but, lucky for us, there are plenty of natural ways to help manage it! Whether you're exercising for competition, or for leisure, its important to be eating well so that you can feel great and be your best. From fussy eaters to little athletes. Sometimes we just need to check that we are on the right track with our child's nutrition. Living with food allergies can be complicated and confronting at first. However, it doesn't need to be. I can help you along the way! Each consult includes unlimited tea/coffee! A 45 minute introductory consult where we will assess your current condition and your goals. We will work together to tailor a nutrition and lifestyle program to help you achieve better health and well being. Consistency is the key to long term results so we recommend a follow up appointment approximately 2 weeks after the initial consultation. We just want to make sure everything is on track! A 45 minute introductory consult where we will assess your child's current condition and goals. We will work together to tailor a nutrition and family program to help them achieve better health and well being. This is an entirely online service. We will connect via skype for a 45 minute introductory consult where we will assess your current condition and your goals. We will work together to tailor a nutrition and lifestyle program to help you achieve better health and well being. This is an entirely online service. Consistency is the key to long term results so we recommend a follow up Skype appointment approximately 2 weeks after the initial consultation. We just want to make sure everything is on track! This service is available in addition to your consultation or as a separate service that can be done entirely online. It includes a full dietary analysis and a personalised meal plan specific to your needs. Sometimes we just need to know exactly which nutrients we are eating in abundance and which we are lacking. A 24 hour food analysis can be provided in addition to your consult or as an entirely separate service. 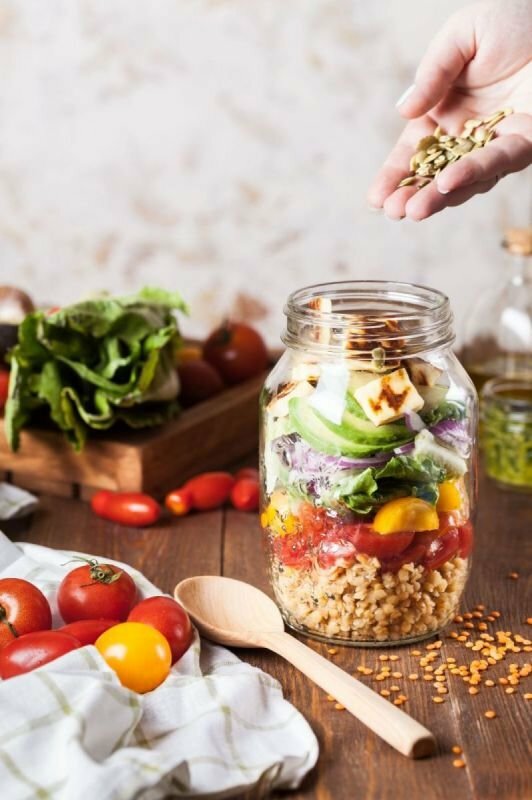 With a bit of extra knowledge, there are plenty of ways to ensure you have a wholesome, balanced diet whilst staying on budget and not missing out on your favourite treats! The word 'Nutritionist' isn't a legally protected name in Australia. Due to this, it is important to make sure the Nutritionist you would like to see is a fully qualified health professional. University qualified Nutritionists have undertaken study in food science, eating behaviour and how nutrition affects our health. They will also be registered with a governing body, for example, I am a registered practitioner with the Complementary Medicines Association (CMA). The best way to make sure you are seeing a qualified Nutritionist is to check that they hold full membership with a governing body. Yourself, of course! It is also encouraged that you bring a note pad with any questions you may have (this is purely so you don't forget to ask; this consult is your time so we want to make sure you get all the information you need from us). You are welcome to bring a note pad and pen if you would like. However, be assured that we will send out a consultation summary for you after the appointment. This way you will have access to all the information discussed! Can I get a rebate through my private health insurance? Yes. I am a registered provider with the following major health funds: AHM, Australian Unity, CBHS, Grand United, HBF, Medibank and NIB. If you have health insurance with any of these providers, and are covered for consults with a Nutritionist, then you will be able to get a rebate. What happens in a Nutrition Consult? We will then discuss your current dietary and lifestyle habits and how they are affecting your health and well being. During your consult you are encouraged to ask any and all questions you may have as this is your time! We will then discuss your goals and tailor an individual plan encompassing eating and lifestyle recommendations best suited to your needs. Do I need to pay at the time of booking? No you do not. We recommend that you pay through bank transfer or paypal once your booking time and date have been confirmed. However, you can pay cash at the time of your consult or be invoiced. We do not have eftpos facilities. Why are the consults for children 13 years and under a different price? Here at Better Living Nutrition, we understand the costs associated with looking after your children. For this reason, we offer a discounted rate. Do you offer Student and Senior Discount? Yes we do, If you are over the age of 13* and at school or university you can receive 10% off your consult. Just let us know before you pay. A senior discount of 10% is available. Just let us know before you pay. *Student discounts are not available for students under the age of 14 as you already receive the discounted child's rate. Fibre is an essential part of our diet. It helps us in so many ways but we often don't manage to eat enough! Here are 5 reasons why we need more fibre in our diet. Toddlers and children can often be picky eaters, this is completely normal and there are a few ways we can help! If you're like me, and love the taste of ginger in almost anything, then you're in luck because ginger has so many benefits! Now, more than ever, it's getting harder to have a good nights sleep. Whether the problem is falling asleep or staying asleep, try these 7 tips and see if they help!